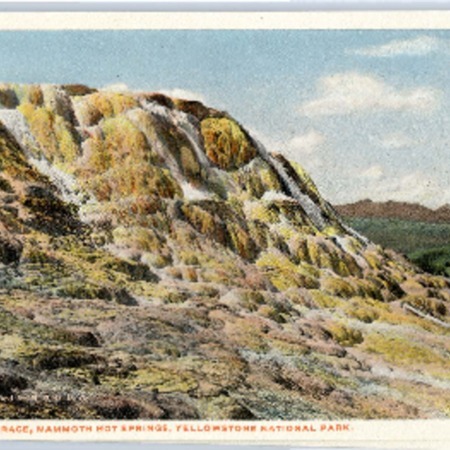 Jupiter Terrace, Mammoth Hot Springs postcard, Yellowstone National Park, ca. 1912. Souvenir folder. Copyright by Gifford for N.P.R.R. 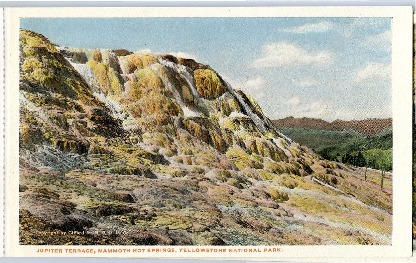 Co.
“Jupiter Terrace postcard, Yellowstone National Park, ca. 1912,” Highway 89, accessed April 22, 2019, http://highway89.org/items/show/10220.